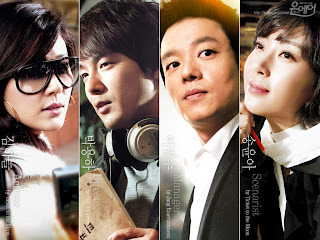 This drama is about the behind the scene in TV drama productions. It also portrays how the whole production team and performers complete a project in a tight schedule as well as how actors, actresses, and entertainment agencies handle rumors surrounding them. Jang Ki Joon (Lee Bum Soo) used to be a top manager in the business but he went bankrupt as he couldn't compete with other powerful agencies. He was 'rescued' by Oh seung Ah ( Kim Ha Neul) a top star who agreed to join his agnecy after breaking off with her former one. 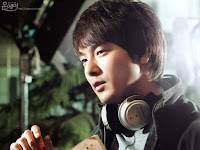 Lee Kyung Min (Park Yong Ha) was a drama PD who got his first chance at being a director. Seo Young Eun (Song Yoon Ah) is a much sought after script writer who was divorced and has a young son. The KBS 2TV drama "Hong Gil-dong, the Thief" was awarded "Best Mini-Series" at the 2nd Rome Fiction Festival. The awards ceremony was held on July 12th in Rome, Italy. After "Hong Gil-dong, the Thief" won the award, KBS was awarded with "Best Producer and Broadcasting Network" in the mini-series category. The Rome Fiction Festival began on July 7th. It is a festival for television productions with six competitive categories and 10 non-competitive ones for TV movies, mini-series, and dramas. Approximately 200 television productions were reviewed. 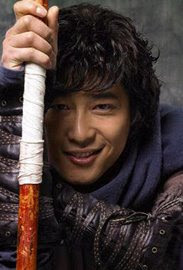 "Hong Gil-dong, the Thief" stars Kang Ji-hwan, Sung Yoo-ri, Jang Keun-suk and Kim Ri-na, and ended its run last March. It was a comical, fusion period-piece which was praised for its successful attempt at expanding the normal parameters of a historical TV drama.